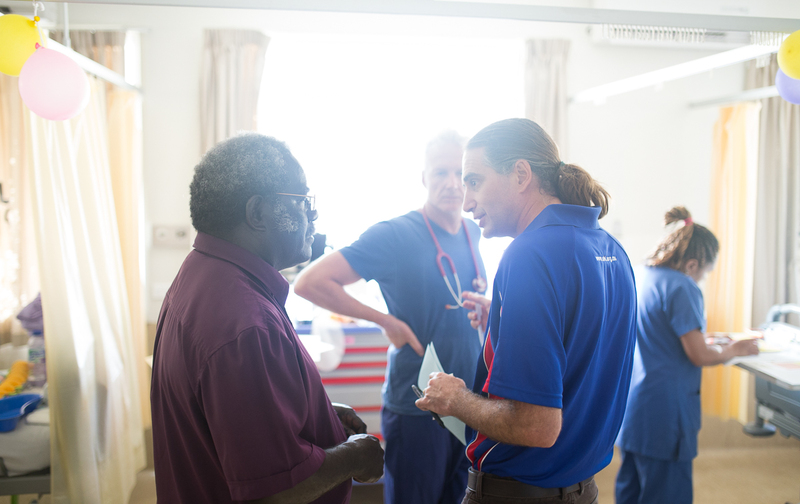 The local staff and OHI theatre team have been busy since we arrived in PNG. 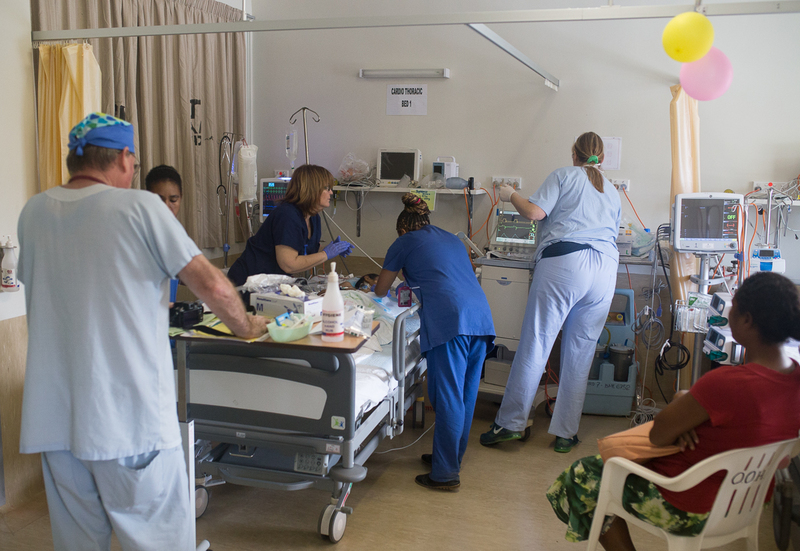 Together their work has resulted in the ICU beds filling up with the first successful operations of the trip! 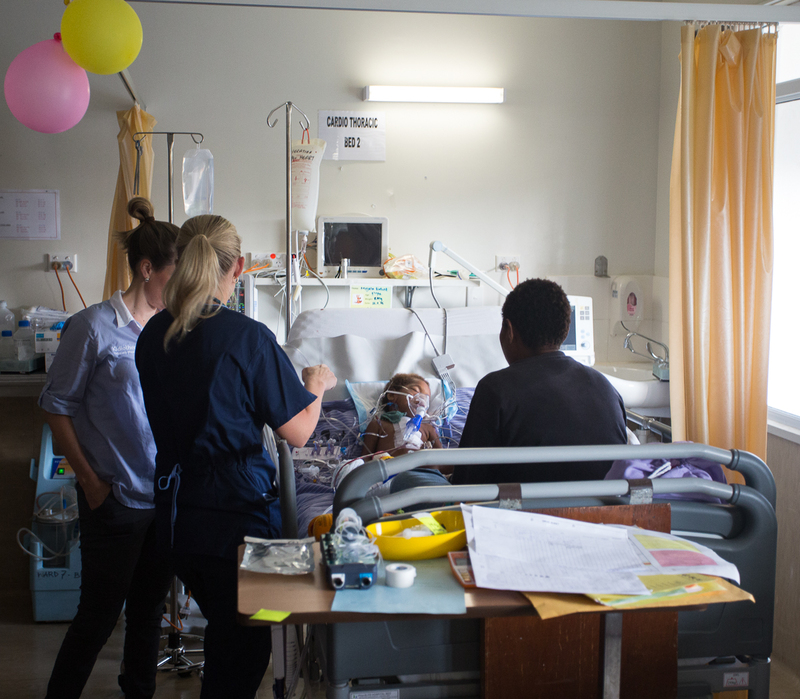 Sunday and Monday started seeing cases returning to the ICU ward – this is where the road to recovery begins! 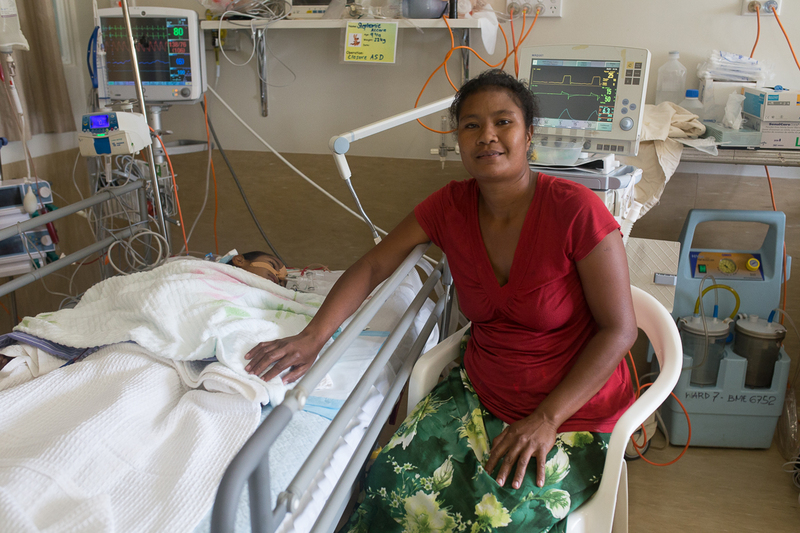 With a family member staying by the patient’s sides, the OHI ICU staff and the local nurses, they all keep a close eye on the patients as they come in from theatre. 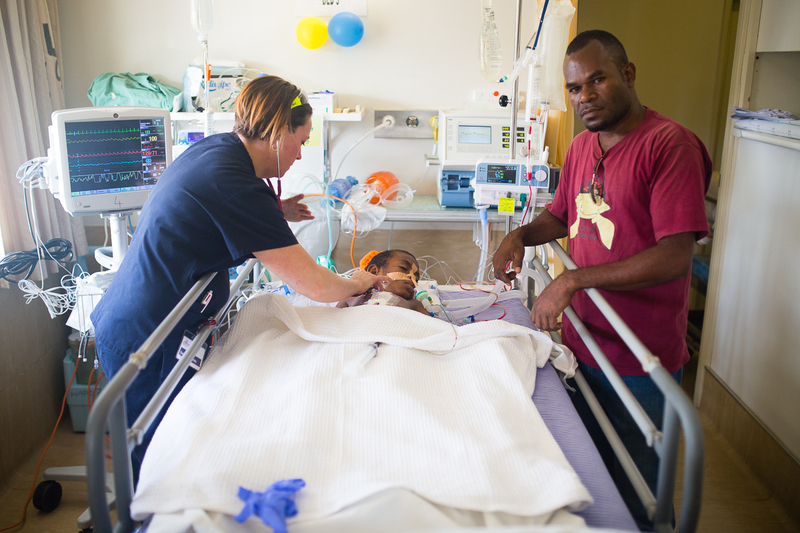 Once they are stable enough, the next stage of recovery beings, transferring to the ward. 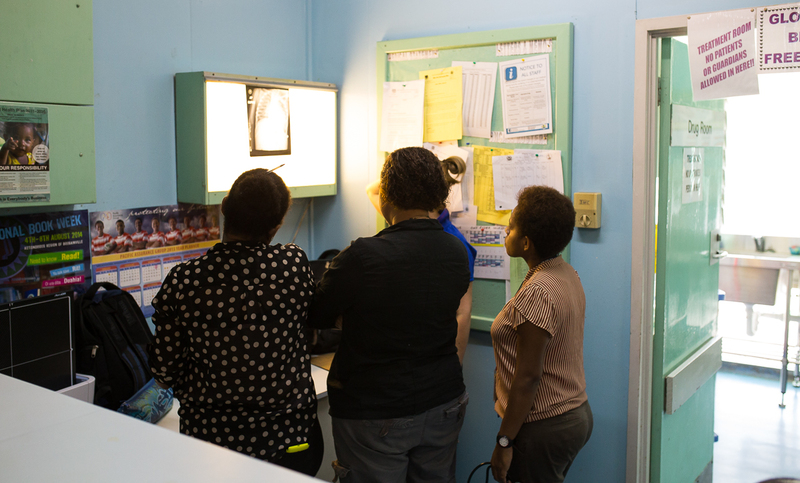 When the patients first arrive on the ward they may still be a little groggy and sore, but as the hours and the days go by, the local staff, the OHI team and most importantly the friends and family get everything moving again. 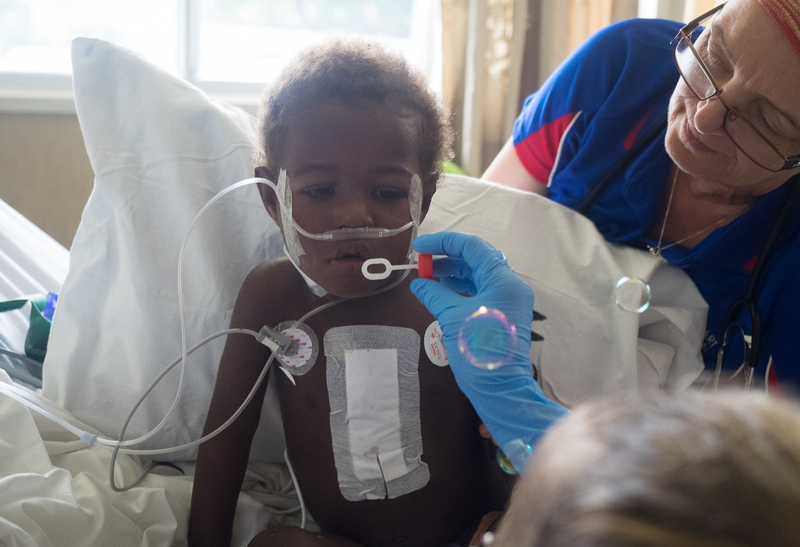 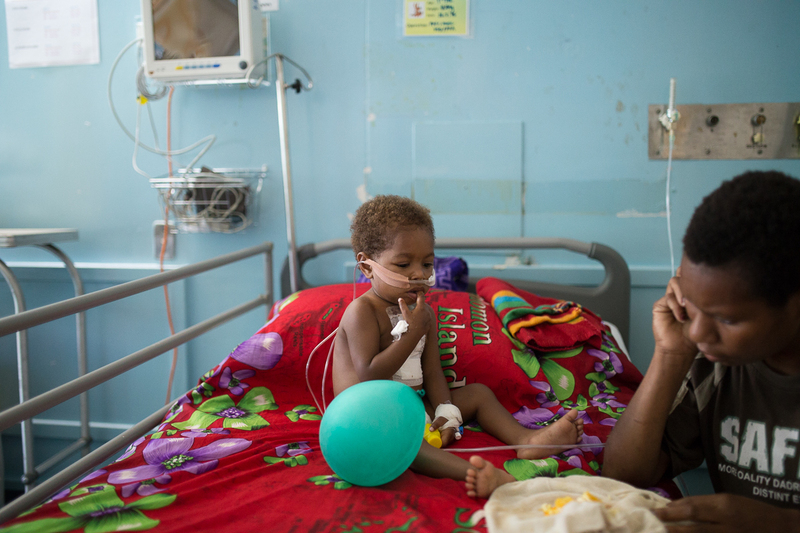 On the ward the patients work with the nurses, OHI and local paediatric specialists Dr Mathias Tovilu and Dr Cornelia Kilalang to ensure a healthy recovery.At the moment our first six patients have been transferred from ICU to the ward. 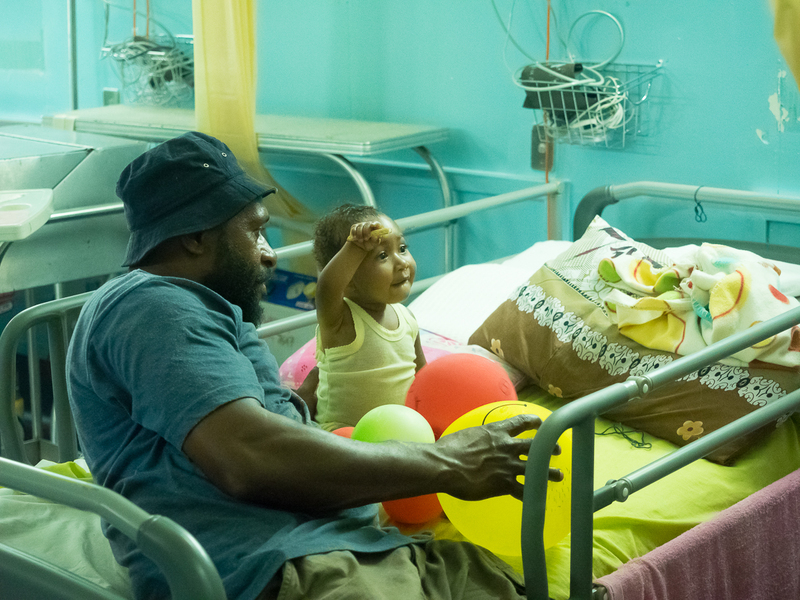 There is a number of stuffed toys, some colouring books, colourful blankets and most importantly some candy and lollipops located all around the ward for the patients. 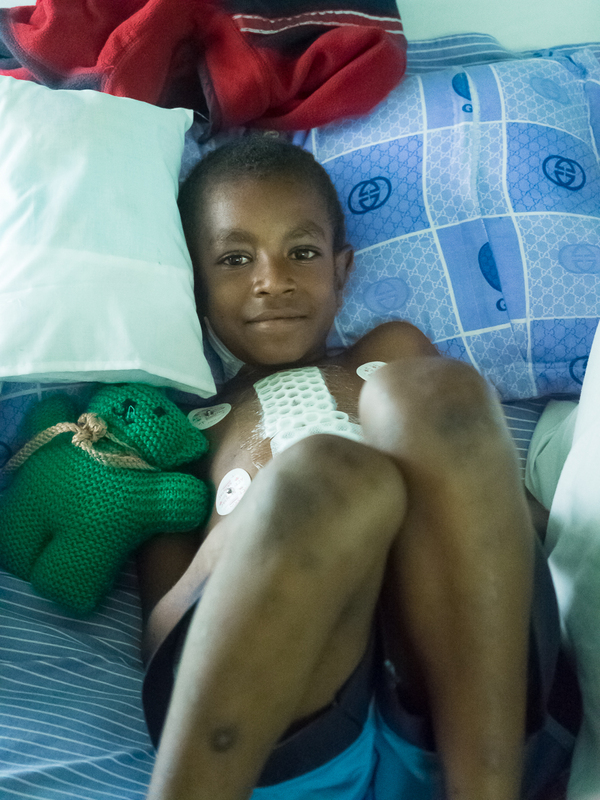 It all adds to the recovery process! 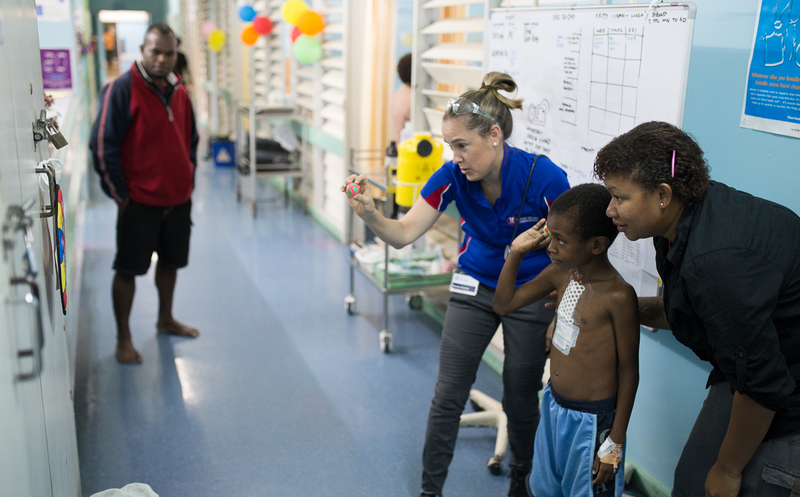 The local physiotherapy team, Michelle, Priscilla and Malan work together with OHI Physiotherapist Renee to get the kids moving again. 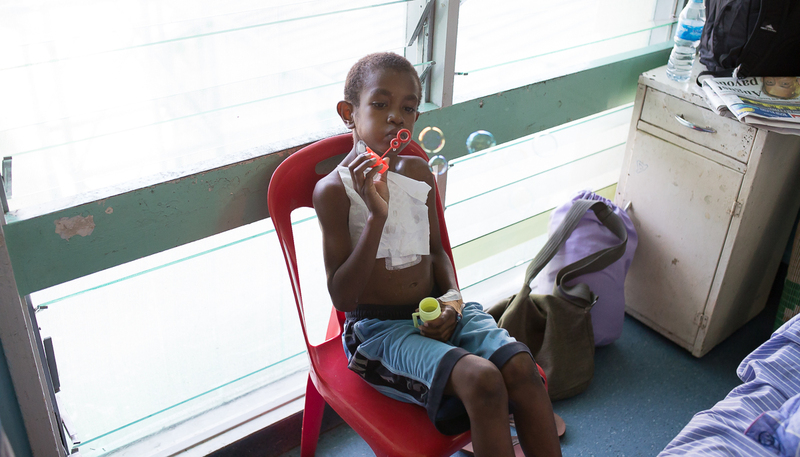 They do this by blowing bubbles to get the lungs working, some short walks, throwing exercises as well as some ten pin bowling later this afternoon!